Swedish Viking Metallers KING OF ASGARD premiere second single ‘Gap Of Ginnungs’ from ‘…to North’ exclusively via website of Metal Hammer Germany! Swedish Viking metal act KING OF ASGARD made an astonishing impact on the scene with their debut album Fi’mbulvintr, released in 2010. After playing a bunch of festivals and club shows in 2010 and 2011, KING OF ASGARD are now ready to unleash their second album …to North. Recorded at the infamous Sonic Train Studios with engineer Andy LaRocque (KING DIAMOND) at the helm …to North shows a band that has perfected their songwriting skills. 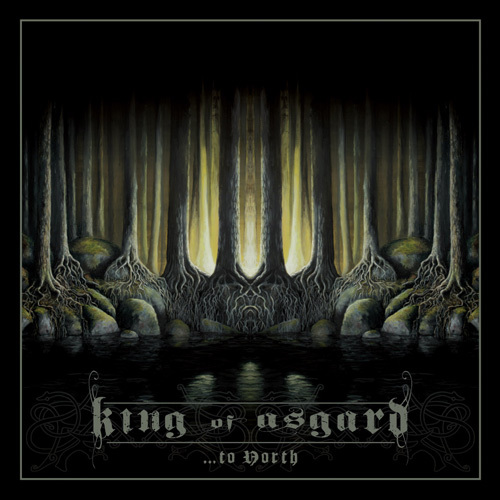 In collaboration with Metal Hammer Germany KING OF ASGARD are now launching the second single taken off the new album …to North. Click HERE to check out Gap Of Ginnungs! Make also sure to check out metalblade.com/kingofasgard and stream the first single The Nine Worlds Burn. You will also find several pre-order links there! KING OF ASGARD have also posted two videos from the studio, you can find them HERE and HERE! …to North will be released on July 31st in North America.